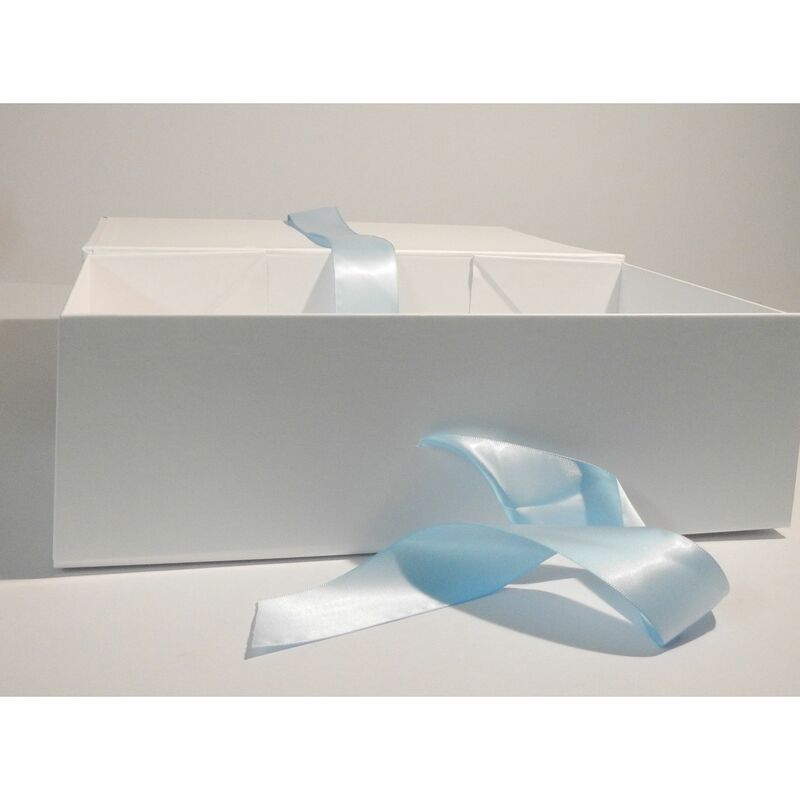 This White flat pack hamper with Blue ribbon is one of our most versatile hampers as it cvan be used for a New Born Box, Christening box, Baptism box and memory box to name a few. This range has been launched in 2018. This ideal for creating a gift, keepsake to celebrate these events that some of us are going to experiance that changes our lifes for ever. 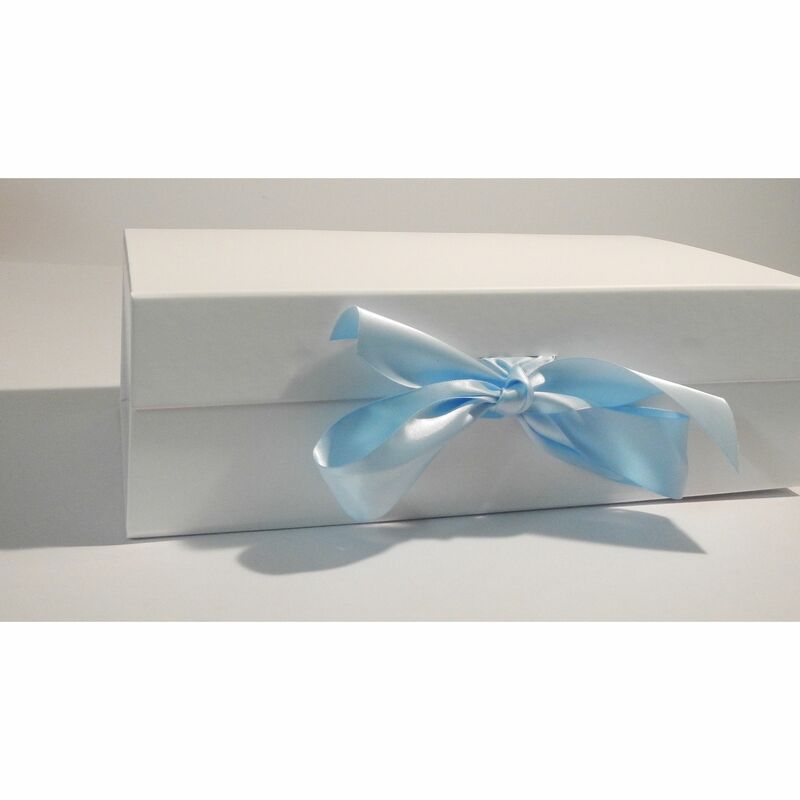 These also can be printed for you to make this in to a corporate gift or celebration hamper, it can be printed in many colours as standard. 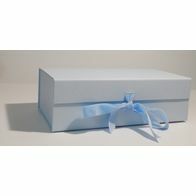 This box can be made in a selection of colours so if you wish any other colour of box or foil please let us know and we will try to assist. 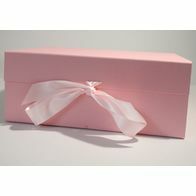 As all our hamper boxes are made in the uk we should be able to help. The size of this box 300mm x 300mm x 100mm however the same print is available in other sizes. Please contact us on 01294 313348 if you would like other sizes with this print.